In his fourth year as president of university, Mark Becker has witnessed some great landmarks in Georgia State’s history. While educational programs have topped national lists and graduation numbers are at an all-time high, Becker faces economic challenges unseen by his predecessors. President Mark Becker thanked faculty and staff for hard work during a pay freeze. 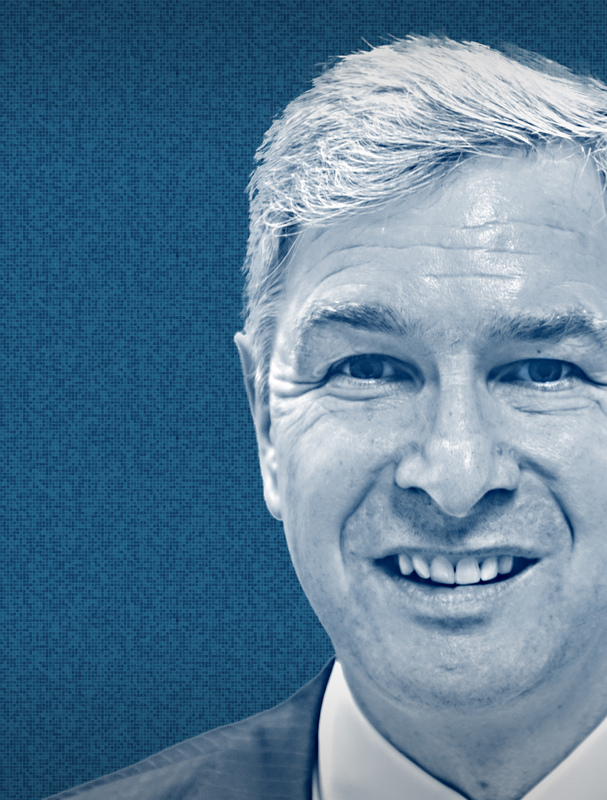 In his State of the University address last week, Becker looked at achievements made by Georgia State and explained plans to keep the university from being unraveled by economic hardship. State support for the university has declined by $49 million in four years. This is the trickledown effect of $1.6 billion in Georgia budget cuts due to the recession. “The economic forces driving down state revenues are beyond our control, but managing Georgia State University’s budget is not,” Becker said. Although there has been a decline in state funding, there has been an increase in funding from the Board of Regents. “Specifically, for the current fiscal year we received a $9 million budget increase from the Board of Regents and state fund to support implementation of portions of our strategic plan,” Becker said. This money cannot be used as general funds or reallocated to make up for cuts in state funding. It was approved to support specific projects, like the purchase of the Atlanta Life Building. The vice presidents and deans are looking at ways to trim spending to help alleviate the strain of budget cuts. 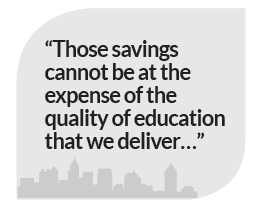 “Those savings cannot be at the expense of the quality of education that we deliver…” Becker said. As Georgia State’s enrollment numbers continue to rise, so does the number of students leaving the university with degrees. Last year, 7,365 degrees were awarded to students, higher than any previous year. 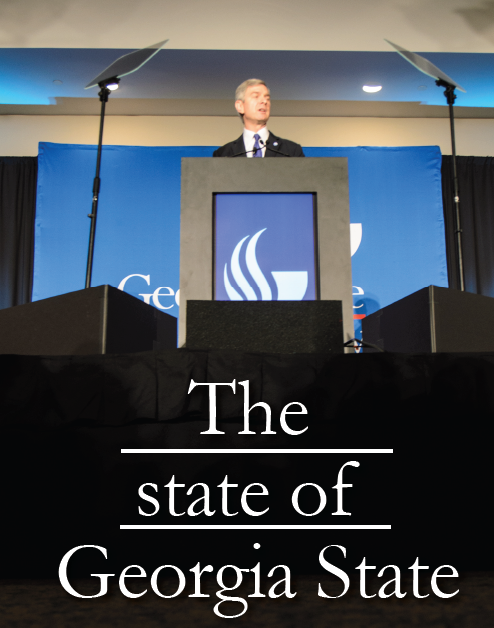 “Just as impressive, students from all ethnic and racial backgrounds succeed at Georgia State at nearly equal rates, and the same is true of students of all economic backgrounds,” President Becker said. Georgia State now surpasses Georgia Tech and the University of Georgia in degrees given to minority students. After a 17 percent increase, the university is the non-profit leader in conferring undergraduate degrees to African American, according to Becker. He also said Georgia State is in the top 50 in the nation for giving degrees to Asian Americans. The president cited an Education Trust study, saying Georgia State ranked number one in the nation among public universities that award degrees to Hispanic American students relative to other “student populations” and second for Hispanic graduation improvement rates. Graduation rates university-wide are up—this year they stand at 51 percent. Becker said he wants to see a rate of more than 60 percent in the coming years. A new advising system is currently in place this fall that will track a student’s progress during their academic career. The program, which is only being used in three universities in the nation, tracks student progress compared to historical data. “This system uses historical retention and graduation data from Georgia State to notify advisers at the moment the student goes off track, not three or four semesters later when the student is in a significantly worse position,” Becker said. The new University and Advisement Center will be housed in 25 Park Place, (SunTrust Tower), at the end of the fall. Advisement and academic counseling for all students will be consolidated into this one center. “Another area where we are making important strides in how we will meet the unique needs of the military personnel coming to GSU after serving our nation in Iraq, Afghanistan and elsewhere around the world,” Becker said. The Military Resource Center will be available for “military learners” that have special needs from other students. United States Marine Corps Sergeant Sion New, a Political Science major, was “instrumental” in the development of the program. “The Georgia State University Foundation has played a major role in stimulating a real and tangible increase in scholarship funds,” Becker said. Last year the Goizueta Foundation gave $5 million for Georgia State’s Latino Leadership Pipeline. Atlanta-based Coca-Cola has given the university $1.3 million dollars to award to first-generation students and study abroad programs. Becker also mentioned two $500,000 “gifts” from currently undisclosed sources. Georgia State’s Keep Hope Alive program was also mentioned. The Georgia State University Foundation supports this scholarship that provides financial support for students that lose the HOPE scholarship because their grades slip. In all, the President said money for institutional awards given to students has increased more than 147 percent. Over the past year Georgia State has received $66.5 million in sponsored research money. This is an all-time high for the university. Becker also said 62 percent of research is now federally funded. “GSU’s federal sponsored research award level [is] a particularly important barometer of our research success,” Becker said. Becker mentioned two $10 million grants given to the College of Education. The U.S. Department of Education Institute of Education Sciences gave one to a center for literacy and deafness to improve readership for deaf children. Georgia State professors Amy Lederberg and Susan Easterbrooks lead this project. The other program, a center for the study of adult literacy rates, will examine factors contributing to illiteracy in adults and develop a new system for gauging adult literacy. Led by Professor Daphne Greenberg, this project was given $10 million by the U.S. Department of Education. President Becker also said Georgia State’s Petit Science Center is already full. “Dr. Jim Weyhenmeyer and the office for Research and Economic Development are building increased capacity to better support GSU’s research enterprise as it grows to increased capacity to the level where we will be in the league of major research universities,” Becker said. Becker mentioned the expansion of the Science Center, but did not identify other potential areas for the expansion of research facilities. Georgia State technologies are also being licensed to “GSU-based start-ups or industry partners.” Becker said professors George Pierce and Sid Crow have research that could potentially decrease the ripening of fruits and vegetables to increase shelf life. Becker said this technology is being “optioned to a major biotechnology company” whose name is not confirmed at this time. Along with the woes of a full Science Center, Becker mentioned a shortage of teaching laboratories, limiting the number of lab science courses available for students. “That in turn is having a negative impact on student progress and time to degree.” Becker said he has asked the Board of Regents for help in the expansion of the science center and more teaching labs pace. Georgia State’s move into 25 Park Place continues to be a slow progression. “The transition will not be rapid because of technical issues arising from the fact that the [Georgia State University] Foundation, not the university outright, is the legal owner of the facility,” Becker said. The Georgia State University Foundation is a Georgia non-profit organization that secures philanthropically support for Georgia State. In the 2011 fiscal year the Georgia State Foundation raised more than $21 million dollars. The foundation’s total assets as of 2011 were $435.4 million dollars. During Last Wednesday’s speech President Becker also discussed the university’s centennial celebration.